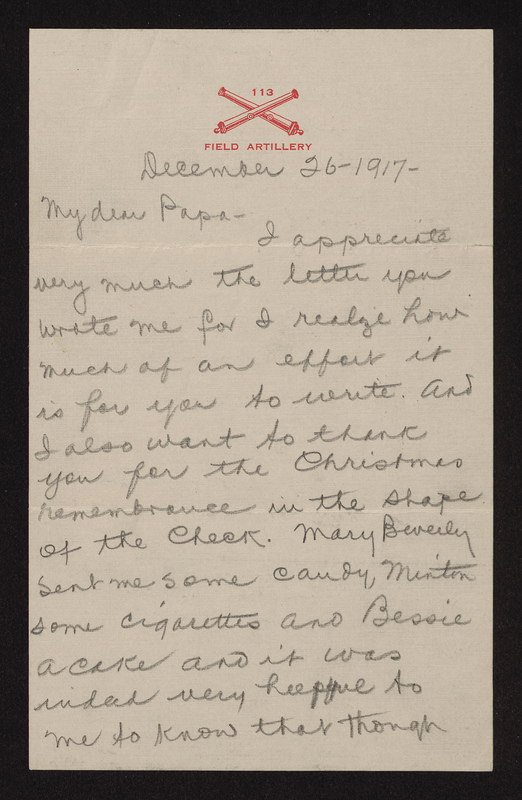 Letter from Richard Dillard Dixon to his father, written December 26th, 1917. I appreciate very much the letter you wrote me for I realize how much of an effort it is for you to write. And I also want to thank you for the Christmas remembrance in the shape of the check. Mary Beverly2 sent me some candy, Minton3 some cigarettes and Bessie4 a cake and it was indeed very helpful to me to know that though I was unable to be with you at Christmas still that you all were thinking of me. We had quite a quiet Christmas here. 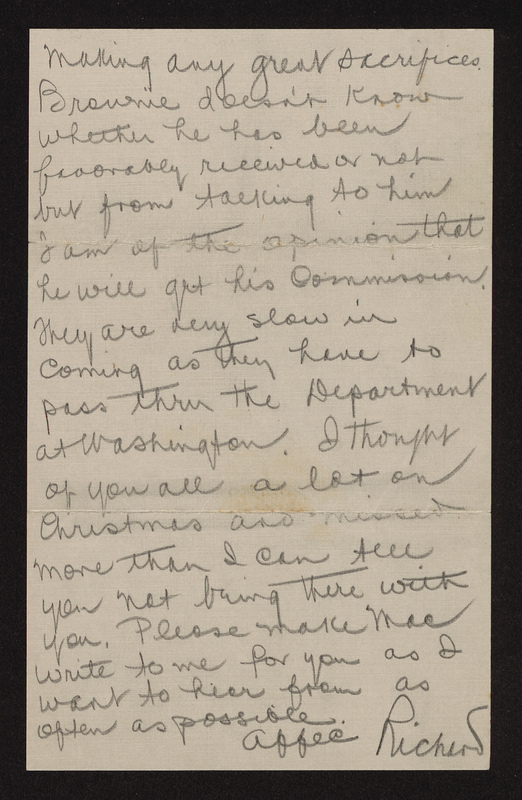 A good many of the officers went away and those who remained took dinner with the men. 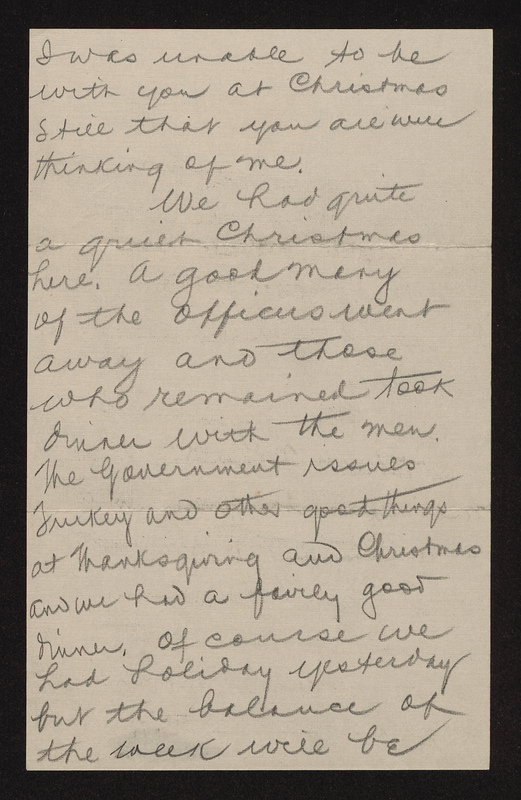 The government issues turkey and other good things at Thanksgiving and Christmas and we had a fairly good dinner. Of course we had holiday yesterday but the balance of the week will be taken up with the regular schedule with the exception that we will not have the officers schools and no examination on Friday. 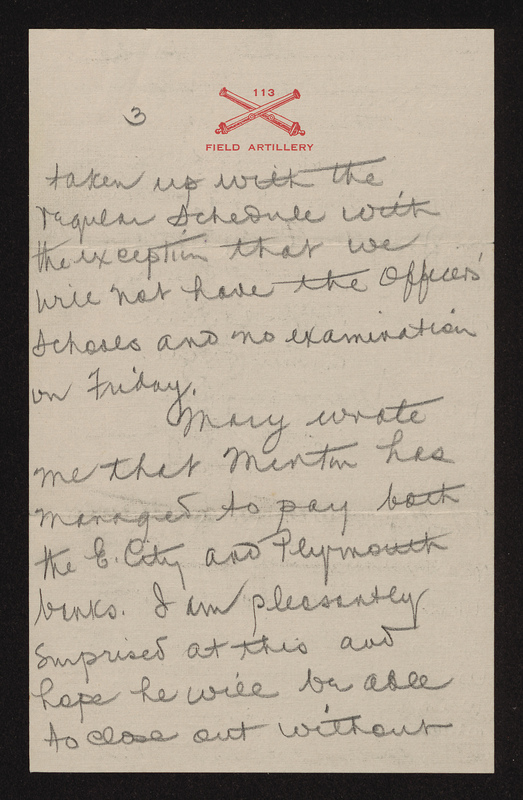 Mary2 wrote me that Minton has managed to pay both the E. City and Plymouth banks.5 I am pleasantly surprised at this and hope he will be able to close out without making any great sacrifices. Brownie6 doesn’t know whether he has been favorably received or not but from talking to him I am of the opinion that he will get his commission. They are very slow in coming as they have to pass thru the department at Washington.7 I thought of you all a lot on Christmas and missed more than I can tell you not being there with you. Please make mac write to me for you as I want to hear from as often as possible. Banks in Elizabeth City, North Carolina and Plymouth, North Carolina in 1917. Elizabeth City: Citizens, First National, Mercantile, and Savings & Trust Company. Plymouth: Washington County Bank and Bank of Plymouth. The Department of War in Washington, DC, predecessor to the Department of Defense.